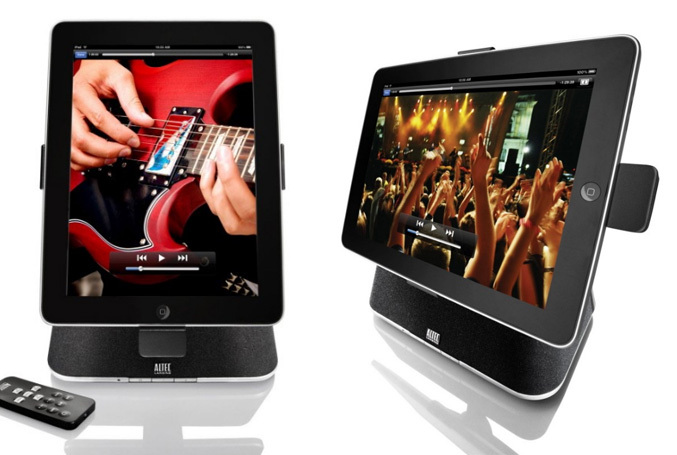 Altec Lansing today has introduced their first docking speaker system for iPad, which they claims is specially designed to “significantly enhance” center channel voicing for dialogue as well as stereo audio while playing and charging the device. 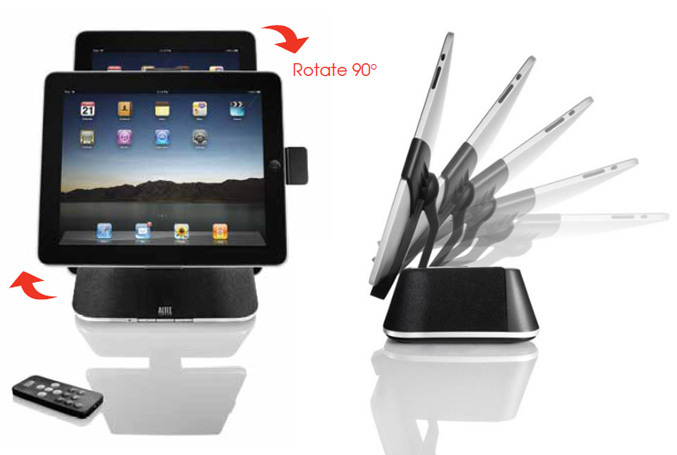 The Octiv Stage has the Apple 30-pin connector and allows to dock and charge iPad, plus a 3.5mm auxiliary jack offers support for additional devices. 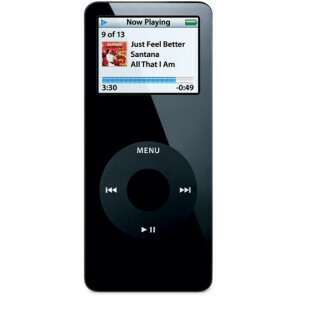 It is equipped with two 50 mm full-range neodymium drivers backed by Altec Lansing’s Audio Alignment technology and also have a rotating connection arm, which allows the iPad to be viewed in both portrait and landscape positions, as well to give you lots of viewing angles and support while typing on it. The dock system has been awarded with the prestigious Innovations Design and Engineering Award from the Consumer Electronics Association and is available now at Apple Stores and for Altec Lansing site for $149.95.